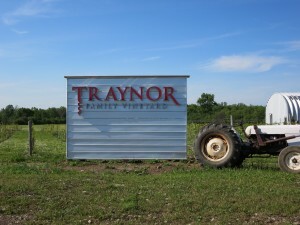 Traynor Family Vineyard is one of the newest wineries in Prince Edward County – they opened in September 2014. 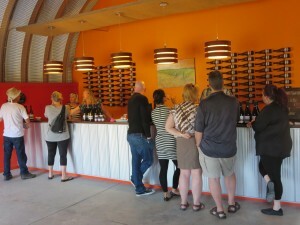 When we stopped there in June they had a big crowd for their Open House and folks were enjoying the live music. 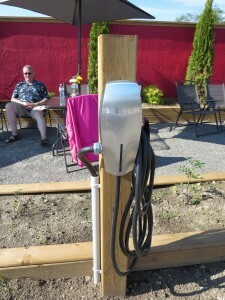 They also had something I’d never seen – a Tesla Charging Station. 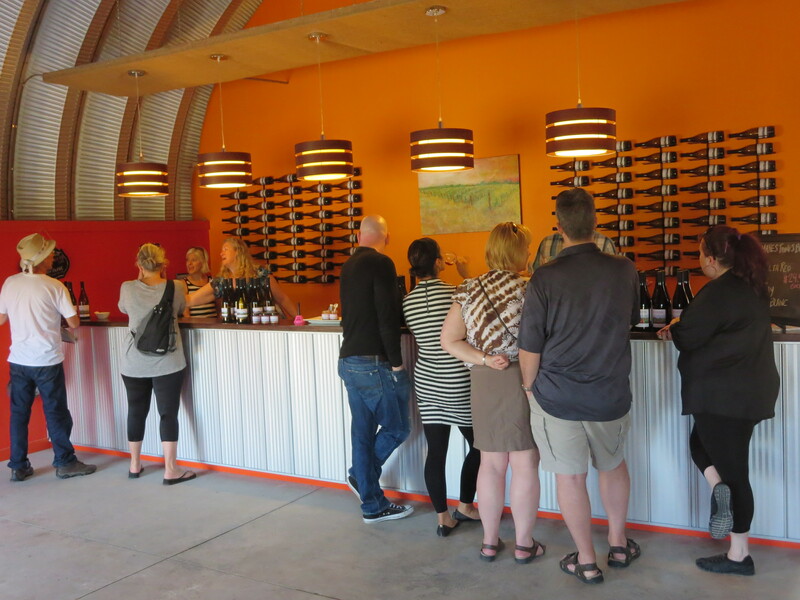 I spoke with Donna Traynor (mother of owner/winemaker Mike Traynor) and she wasn’t quite sure how Mike convinced the Tesla folks to put them in – but it’s a terrific idea – especially if you’re out and about in PEC and you find your Tesla could use a charge. 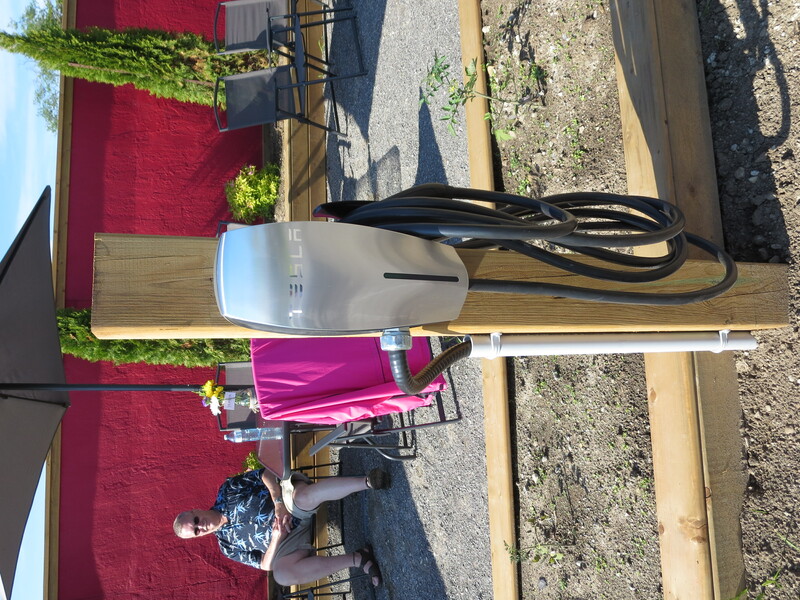 Even if you don’t have a Tesla, it’s worth a look, so why not stop in this long weekend. 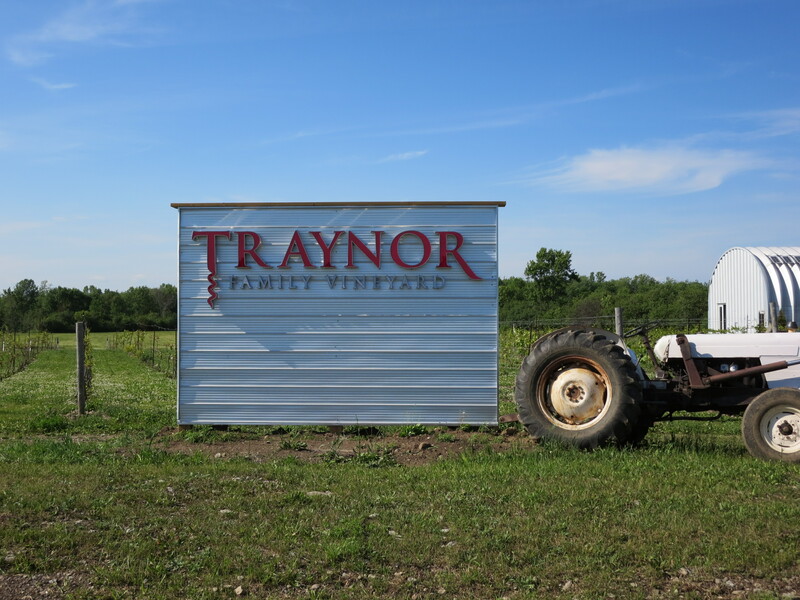 Picnickers are welcome and the Traynor family (Mike and his wife Rebecca) would be happy to help you choose the right wine for you to enjoy there or to take home.